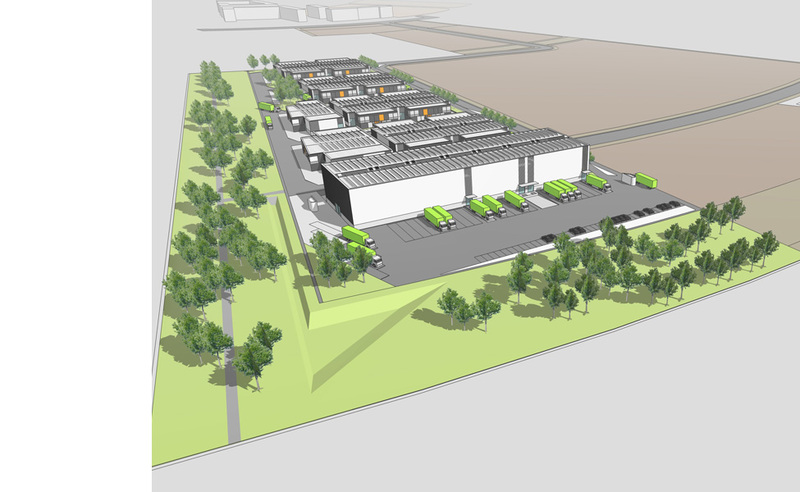 Berlin Airpark is a 20,000 sqm warehouse project proposed for lands immediately outside Schonefeld Airport in Berlin City all under a design-build appointment with Hawridge Developments Ltd. 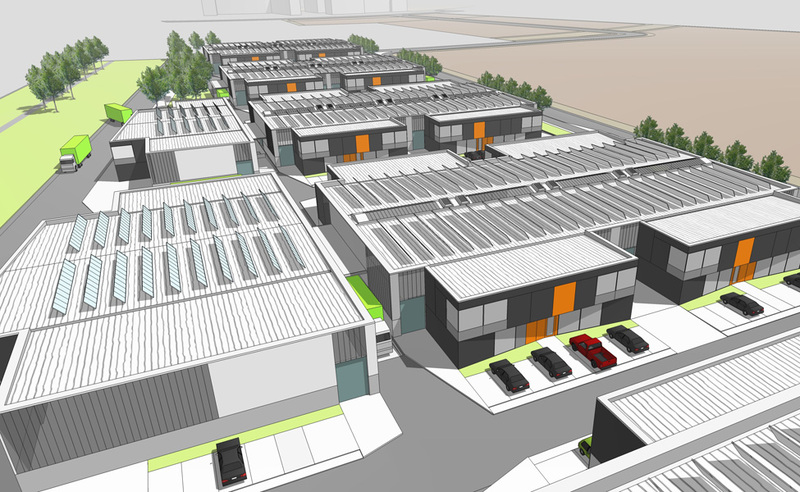 It is a phased development on a green-field site comprising clusters of warehouses of various sizes and configurations. 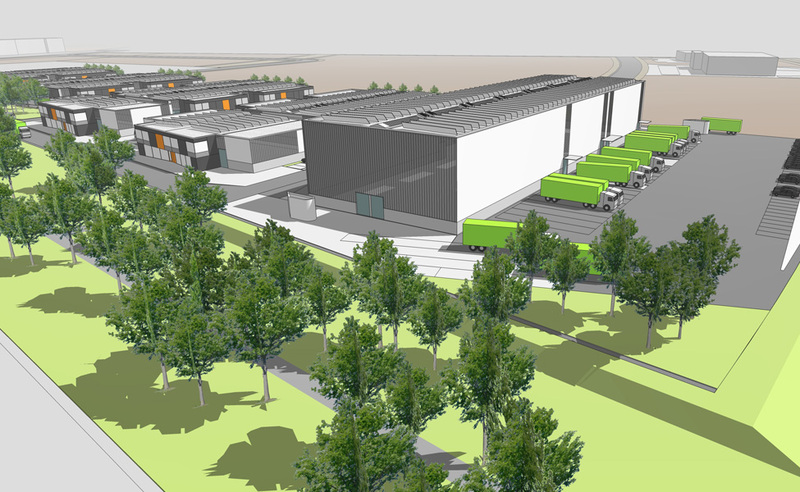 Each unit includes provision for storage, administration and showroom functions. 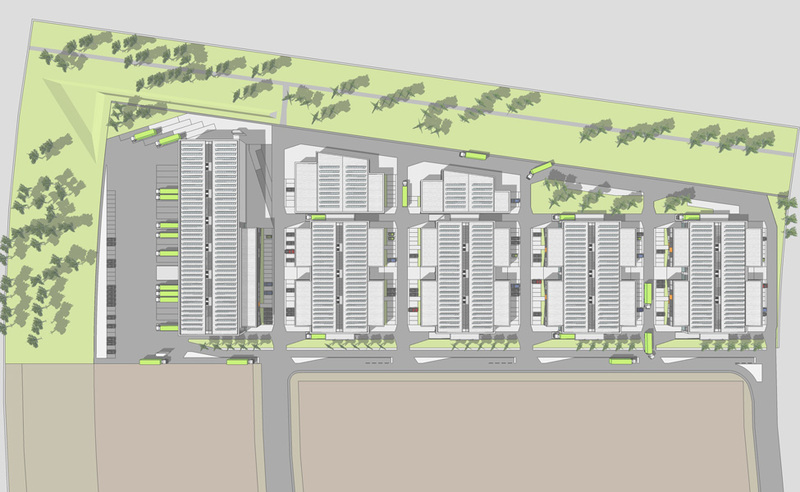 The design makes use of the administrative office block to present a front-of-house condition with the larger storage warehouse spaces grouped together centrally. Flexibility is achieved by adjustment of partitions within the grouped hall space sub-dividing the hall to suit sizes demanded by the property market. A consequential reduction in external wall area contributes to improved thermal efficiency and affordability. The large combined roof space provided a secondary opportunity to install solar panels for energy collection. Deliveries to the warehouse space are by separate access to administration. Knowledge of building strategies, techniques and products gathered from previous involvement with industrial buildings was employed to accelerate construction time and improve control of construction costs. 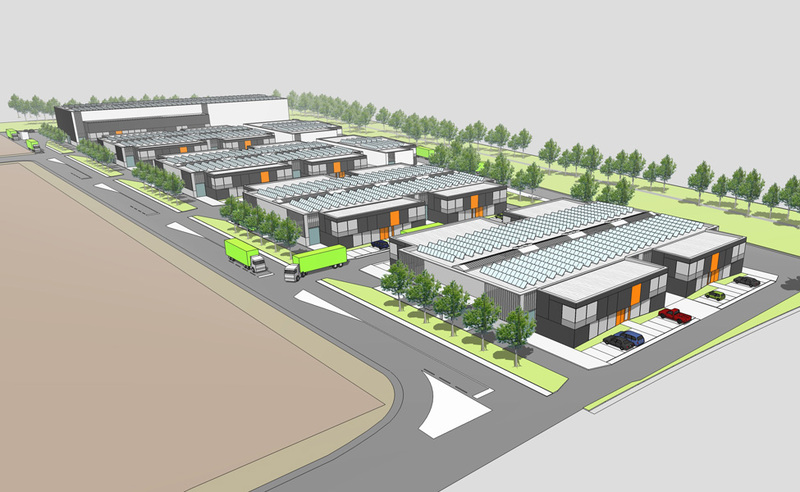 This project drew on our in-house expertise for local German building technology, statutory procedure and construction contacts contributing significantly to a proposal by an Irish developer to establish work overseas.